These tiny little glass beads are hard to find but we have them! Één pound 500 gr per bag. 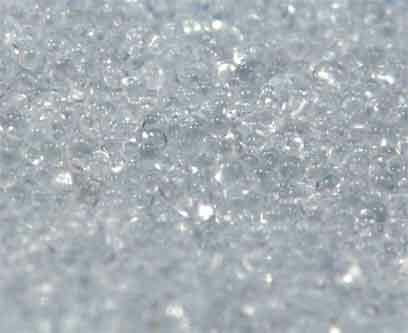 Tiny grain size: These glass beads are much smaller in size than plastic pellets so they will make your baby softer. Glass beads also help prevent lumps. 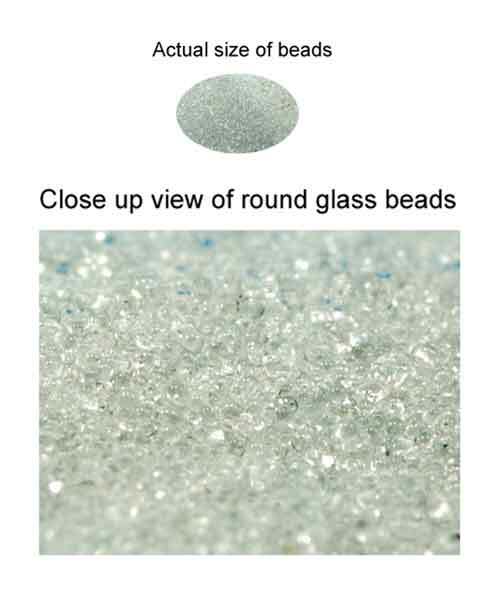 The picture shown above is a magnification so that you can see how wonderfully round these beads are. They are round in shape and clear as a glass window. They will allow you to weight even tiny babies as it only takes a small amount to achieve the appropriate weight. On average glass beads weigh more than twice as much as plastic beads so you don't need as much. This can be very helpful when you are trying to weight tiny little arms and legs. Two pounds per bag. Double bagged for safer shipping!